This is the versatile cookware set you will want for your kitchen. The Wyndham House 4-Piece Stainless Steel Multicooker /Stock Pot is especially nice for preparing soup, stew, pasta, rice, and more of your favorite recipes. 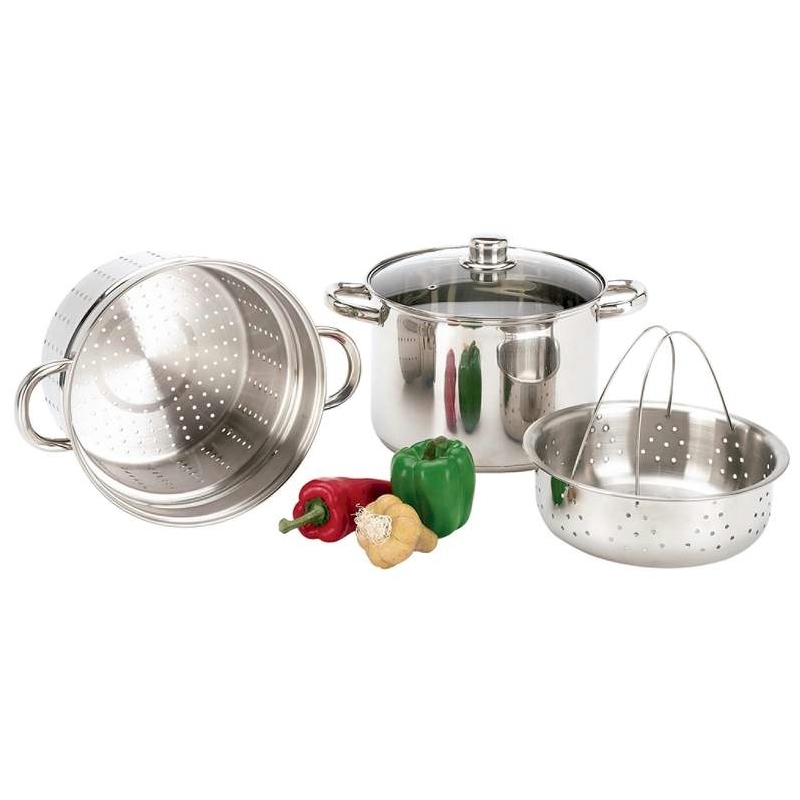 It has a pasta insert with handle, plus a colander or steamer basket, and a tempered glass lid with a steam vent. The surgical stainless construction includes encapsulated pan bottoms for even heat distribution for achieving satisfying cooking results. Cooking and care instructions included. Gift boxed in full color packaging. Surgical stainless steel construction Is durable. Capsule bottom layers Distributes heat evenly. Glass lid with steam vent Allows you to monitor your cooking without losing heat by lifting the lid. Mirror finish Looks nice in any kitchen setting. Riveted handles Provide feeling of security and safe handling of hot pots.